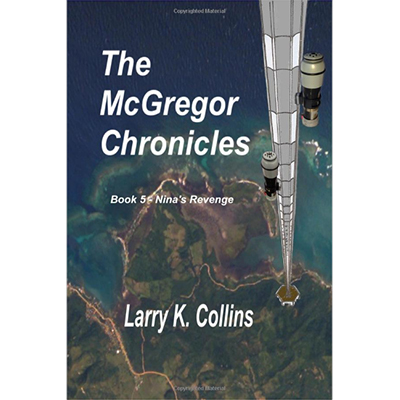 The McGregor-15's return from the Triangulum Galaxy is anything but triumphant. As if being chased by pirates looking to abduct Matt's wife, Tracy, for ransom, keeping the outlawed medbots a secret from the authorities, and preventing Federation genocide of the natives on Kaùsan weren't enough, now they're saddled with returning a rich duke, his bejeweled wife, teenage daughter, and young son to their home planet, Radm, in the middle of a rebellion. Could it get any worse? Possibly.